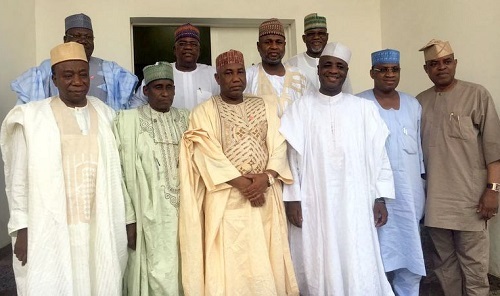 According to Premium Times, some All Progressives Congress senators who opposed the election of Bukola Saraki as Senate President, held a rare meeting Tuesday with Mr. Saraki’s key supporters from the same party, casting aside differences that for months polarised the ruling party’s senate caucus. The meeting between the anti-Saraki group’s so-called Unity Forum and pro-Saraki’s Like Minds, had in attendance 10 senators – five from each of the two camps. It took place at the Asokoro residence of Aliyu Wammako, a former Sokoto State governor. Mr. Wamakko confirmed to PREMIUM TIMES that the talks held. The two sides had for months opposed the other, with some members of Unity Group pushing for Mr. Saraki’s removal. The two groups emerged in the run up to the election of the Senate’s principal officers. 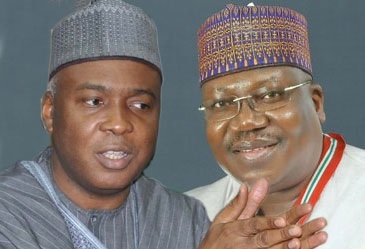 Mr. Saraki won the top seat in defiance of his party, APC’s decision to support his challenger, Ahmed Lawan. Unity Forum’s most outspoken member, Kabiru Marafa, recently called for Mr. Saraki’s in view of the senate president’s ongoing trial for alleged false declaration of assets. Tuesday’s meeting had in attendance Mr. Lawan, Mr. Marafa, Gbenga Ashafa, and Suleiman Hukunyi as part of the group’s team. One the other side, the Like Minds were represented by Danjuma Goje, Mr. Wammako, Sani Yerima, Kabiru Gaya and Adamu Aliero. Speaking exclusively to PREMIUM TIMES at the end of the meeting which ended around 6.50 PM, Mr. Wammako said the meeting was held to end the crisis that hit the APC caucus following Mr. Saraki’s emergence as senate president. He said it was high time the Senators belonging to the ruling party agreed to work together in the interest of Nigeria and to support President Muhammadu Buhari. “Effectively the meeting has brought an end to crisis in the Senate between APC Senators who now support the Senate President, Bukola Saraki,” Mr. Wamako said. This development came ahead of Mr. Saraki’s day at the Code of Conduct Tribunal on Thursday when the tribunal is expected to rule on his motion for the dismissal of the case against him on grounds of procedural error. Another Senator, a member of the Unity Forum, who attended the meeting but asked that his identity be protected, said the meeting had three outcomes and that both sides agreed “to have a united APC caucus”. The Senator said the first outcome was that the composition of Senate committees be reviewed to conform with the Standing Rules of the Senate. He said an upward review of the number of the committees must follow due process as prescribed the section 60 of the Senate Rules. The second point, he said, was that committees should also be reconstituted to “favour APC Senators”. He said it was finally agreed that the APC caucus henceforth be “loyal to our party and be committed to its objectives”. “The number three point is the supremacy of our party, loyalty to our leaders and support for President Muhammadu Buhari,” he said. He said the “the meeting was held in the interest our party and Nigeria”. Asked if the meeting was held to settle the longstanding Saraki row, he said, “It is beyond Saraki”. But he added that “there is no crisis between us again”. “This man (Saraki) is in court and anything can happen. “So APC Senators must come together and unite; otherwise, if anything happens to Saraki in the court PDP Senators who are very united may take over the Senate. “And that would be a very great disservice to our party, the President and Nigerians who voted for change. “So, we are now uniting like PDP Senators and are settling our differences,” the Senator said.